The make output and build progress information displays in the Console view. The Make Targets view displays makefile actions, and the Problems view displays compile warnings or errors. In the Project Explorer view, select your project. 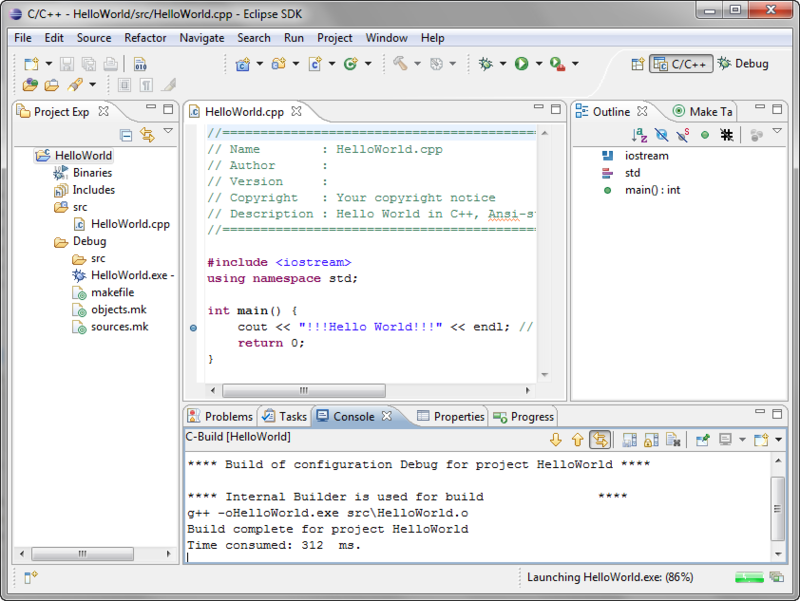 For the tutorial, you can select the HelloWorld project you created earlier. Click Project > Build Project, or click the build icon on the toolbar. then CDT cannot locate the build command, usually make. Either your path is not configured correctly, or you do not have make installed on your system. You can see in the Console view the output and results of the build command. Click on its tab to bring the view forward if it is not currently visible. If for some reason it's not present, you can open it by selecting Window > Show View > Console.